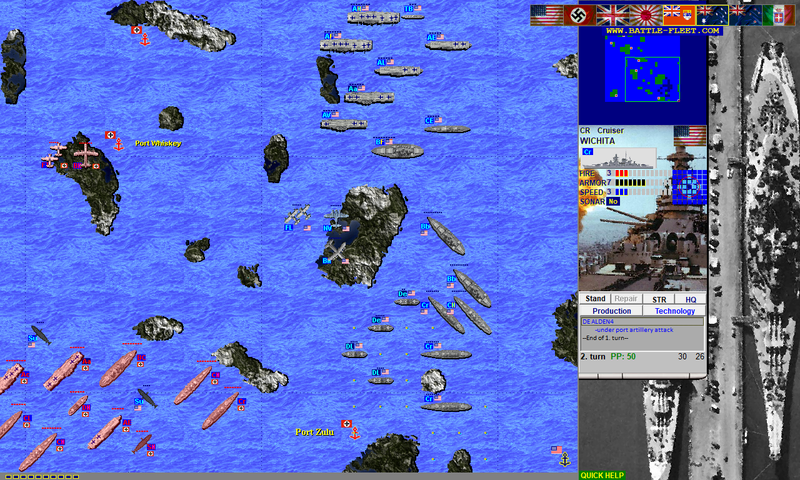 Naval turn based strategy game, extension to the classic Battleship game where ships/planes/subs can move! 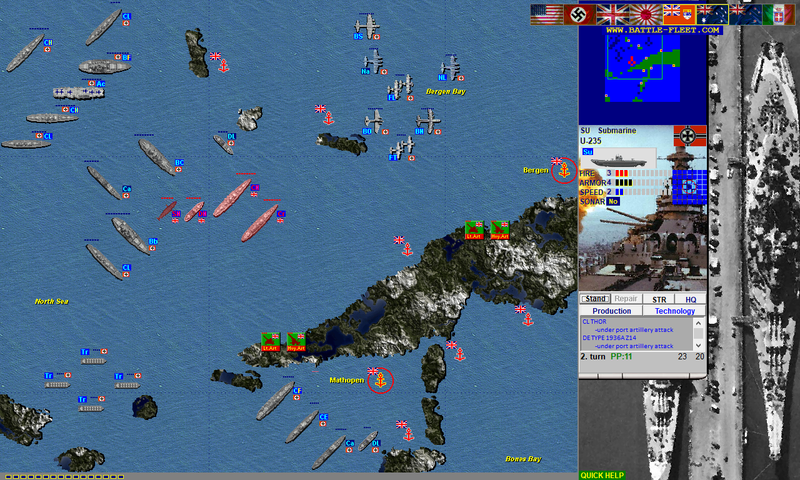 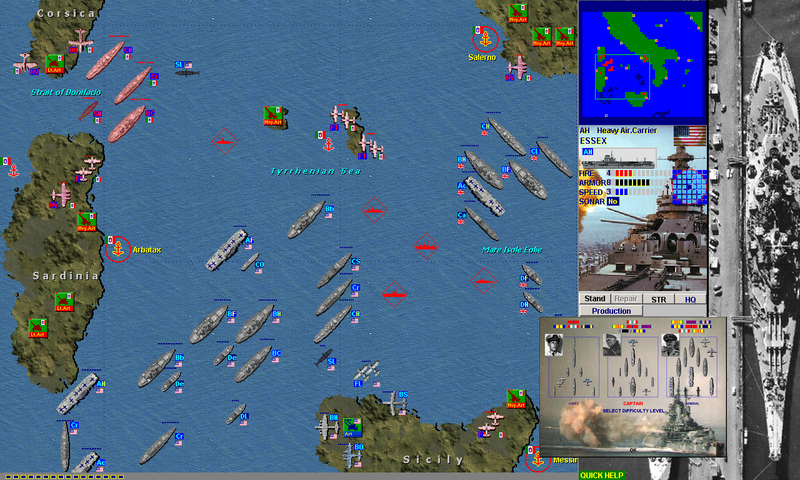 Game objectives: conquer enemy ports, defend friendly ports, destroy ships, secure transport convoy to the friendly port. 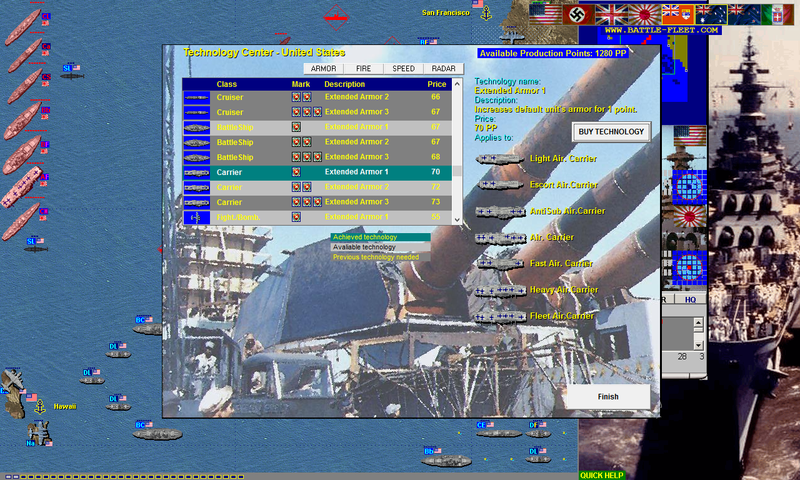 Player can purchase new ships/planes during the game. 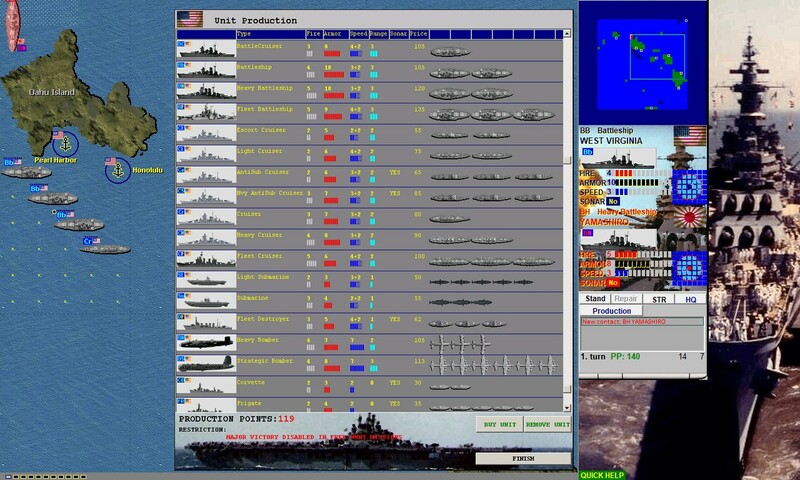 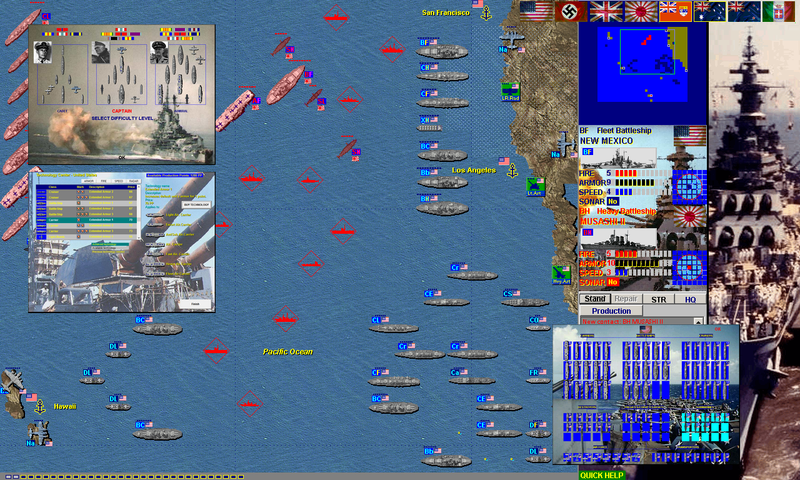 Naval turn based strategy game, compilation of the best Pacific War and Battelfleet 1939 scenarios, plus new Combat Technology system - research and implement new armor, artillery, speed, engine and radar technologies. 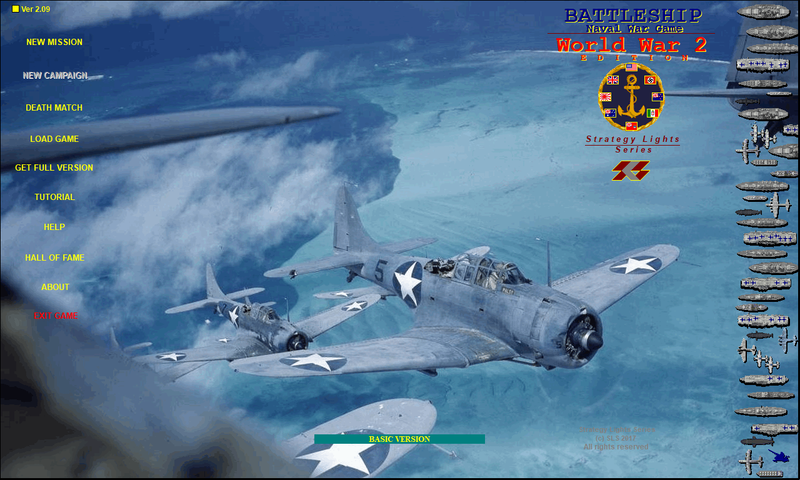 Over 150 missions, death-matches and campaigns! 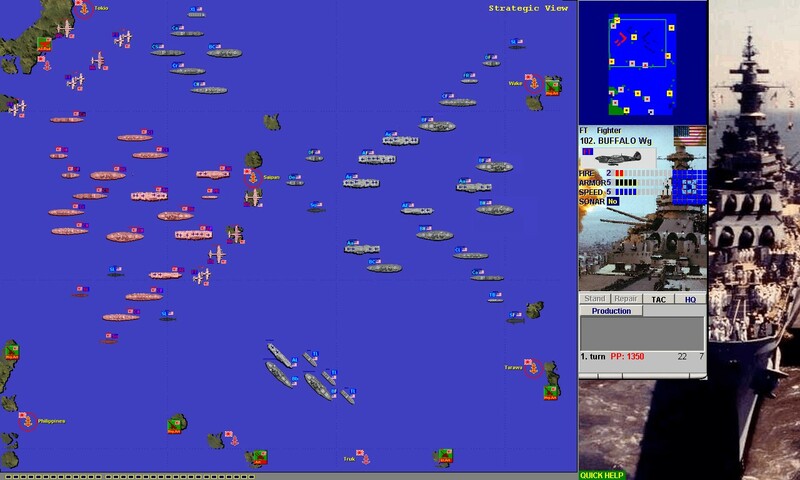 Contains over 60 missions & campaigns and 40 ship, submarine, airplane & port artillery types, with combat maps up to 100x100 fields large. 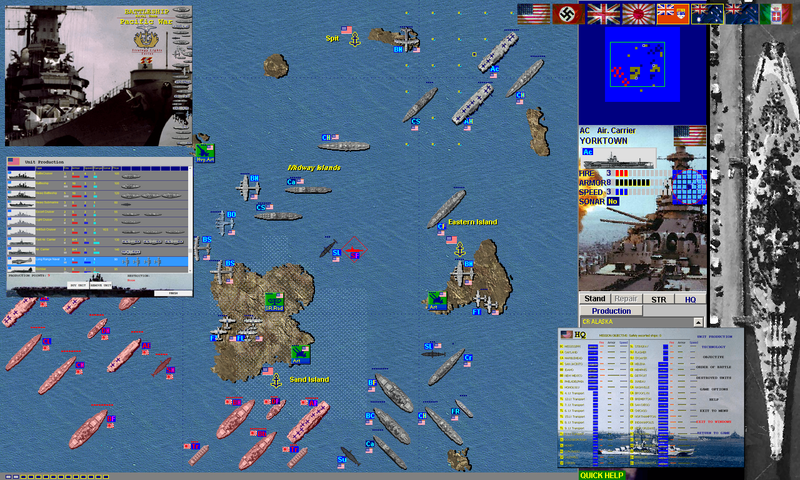 Game war scenarios include Mission Bismarck, Invasion, Atlantic 1941, Royal Navy, Norway Ports, Wolf Pack Submarines, USN Operations 1941, Singapore, Kriegsmarine, Conquer Of Italy, Lamansh, Atlantic 1943, Lancaster Bombers, Gross-Admiral, Drang Nach Ost, Sir John Tovey, B-29, Normandy and USAAF. 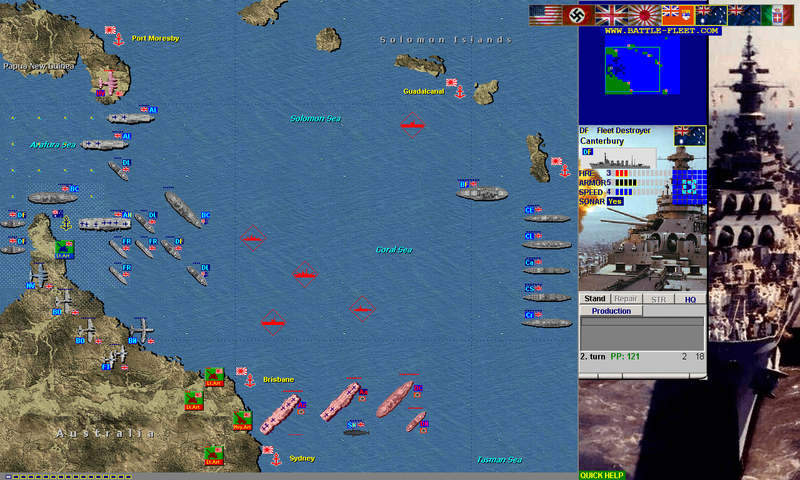 Soon: Android, iPad, iPhone risk strategy games. 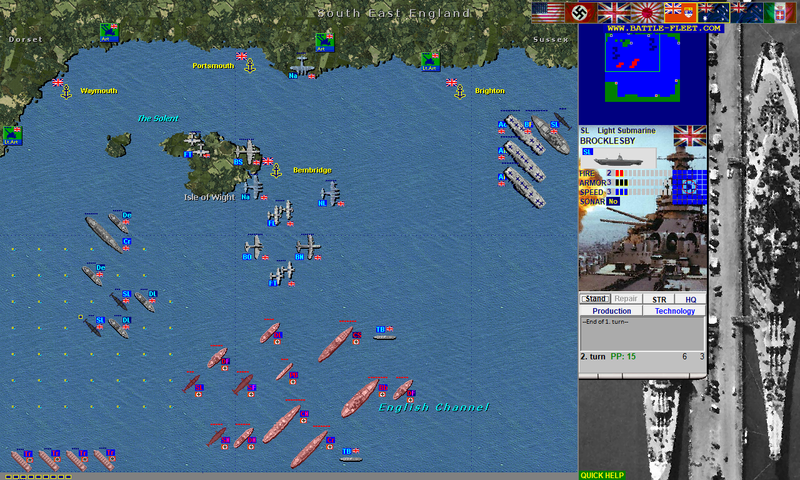 Turn based game represents World War 4 conflict on tactical level. Game contains missions, death-match and free hunt scenarios and campaigns with various unit production potential and technology level. 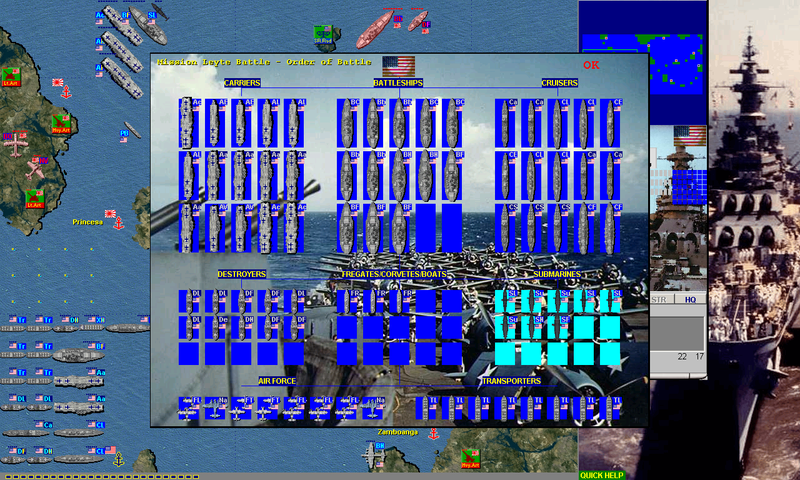 The user-friendly game engine allows more than 60 unit types, including planet battleships, galaxy cruisers, death-stars, stealth units, star destroyers, air-space interceptors, explorers, planet artillery and radars.